Following is a regional map and an aerial image of Cairo illustrating the rivers to the east and west. According to an article published April 28, 2018 in The Southern Illinoisannewspaper, the US Department of Housing and Urban Development (HUD) has issued notices to residents of approximately 40 public housing units at Elmwood Apartments and McBride Apartments for them to vacate their units by June 30, 2018, or face eviction proceedings. The initial notice of the pending property closure was provided to residents in spring 2017 to allow them sufficient time to secure housing elsewhere. Once the existing buildings are vacated, the former public housing properties will be “sealed off” and will likely await future demolition. The residents who have already moved and who must yet be moved from these public housing units are eligible to relocate to other public housing or similar subsidized housing options or may receive a portable voucher that the household can use to subsidize rent for a conventional rental unit in a market of their choice. Additionally, HUD will be paying for resident moving expenses to relocate remaining residents from their current public housing units in Cairo. “Why is this happening?” one might ask. According to The Southern Illinoisanarticle, one reason HUD is opting to shutter the properties in Cairo and in the nearby village of Thebes, is that the local housing authority overseeing operations can no longer afford to pay the utility costs for the properties. Per The Southern Illinoisanarticle, HUD has cited health and safety risks to tenants due to years of deferred maintenance as one other reason tenants are being asked to vacate properties by the end of June. Additionally, it was reported that HUD was unsuccessful in attempts to attract a housing developer that was willing to take on the risks and challenges of building new multifamily housing in Cairo. However, upon further investigation of the Cairo market, it appears that demographics, geography, and weak local economic conditions point to the overarching reason why HUD is vacating its public housing in Cairo. In evaluating demand for rental housing, several variables are commonly considered by developers, lenders, and state housing finance agencies that allocate federal Low-Income Housing Tax Credit funding each year. We have considered the following data for this market investigation. 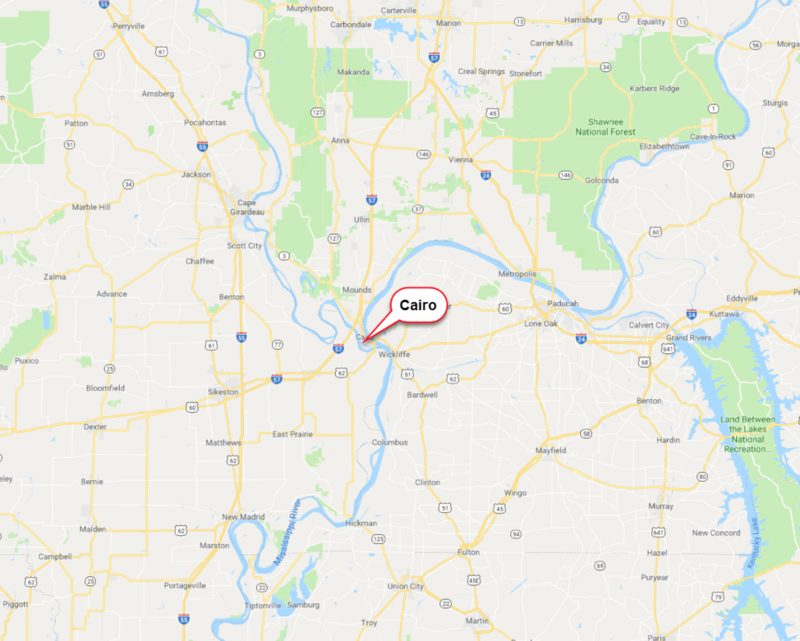 We have presented data for within a one-mile radius from the centrally located Cairo post office and within a three-mile radius of the post office (an area that includes the entire city of Cairo), as well as for Alexander County, Illinois, and the United States for comparison purposes. The following table compares recent population trends for the one and three-mile radii around the Cairo area, Alexander County, Illinois, and the United States. As illustrated in the population trends table, within the Cairo market (one and three-mile radii) the average population decline between 2010 and 2017 was 2.4% annually, compared to a 1.9% annual population decline in Alexander County, and 0.2% annual growth in Illinois and 0.9% annual growth nationally. Even more telling is the 25% rate of population decline projected for the Cairo market between 2010 and 2022. Over the same period, the Alexander County population is projected to decrease by almost 20%, while the statewide population is projected to increase by 2.4% and the national population is expected to increase by 10.6%. The significant 25% population decrease over a 12-year projection period in the Cairo market suggests that many people are leaving the market in search of employment and/or housing opportunities elsewhere. The following table compares household income levels for the Cairo area radii, Alexander County, Illinois, and the United States. As reported in the preceding table, the 2017 median household income within three miles of the Cairo post office is $25,933, which is approximately 30% below the median household income level for Alexander County, and is less than half of the median household income levels for Illinois and the U.S. Similarly, the average household income in 2017 for a three-mile radius from the post office un Cairo was $38,332, which is almost 18% below the average household income for the county and is less than half the average household incomes for Illinois and the nation. The following table presents housing tenure data for the Cairo area radii, Alexander County, Illinois, and the United States. The preceding table indicates that the share of vacant housing in Cairo (30.8%) is above the high vacancy rate for Alexander County (22.6%) and is more than three times the vacancy rate for Illinois (9.1%). The local rate of vacant housing is also well above the national level. Note that the majority of the occupied units in Cairo are renter-occupied, while in Alexander County, Illinois, and the U.S. the share of renter households are well below shares of owner households. The following table illustrates the median and average contract rent levels per the 2011-2015 American Community Survey (ACS) for the Cairo area radii, Alexander County, Illinois, and the United States. Within the three-mile radius from the post office in Cairo, the median contract rent per the 2011-2015 ACS was $221, which is slightly below the median contract rent for the county of $240, and is well below median contract rents for Illinois and the U.S. The average contract rents in Cairo reflect similar trends as the median contract rents, with the average monthly contract rent within a three-mile radius at $259. Given the contract rents being achieved in the Cairo area are very low in comparison to the state and the nation is one significant reason why developers have likely opted to not pursue new multifamily housing development in Cairo. Following is 2017 employment and unemployment data for the Cairo area, Alexander County, Illinois, and the United States. As presented in the table, the unemployment rate within three miles of the post office in Cairo is 22.0%, while for Alexander County the unemployment rate is significantly lower, but still well above statewide and national averages at 12.2%. The high unemployment rate in Cairo suggests a struggling economy that has not recovered from the most recent national recession. The following table compares the levels of educational achievement (high school diploma, bachelor’s degree, or graduate/professional degree) for adults 18 and older in the Cairo area, Alexander County, Illinois, and the United States. As reported in the preceding table, within Cairo, approximately 8% of the adult population has a bachelor’s degree or higher, which is similar to the level of educational achievement for the county’s adult population, but well below the shares of higher education achieved by the adult population of the state and the nation, where 29% and 27% of persons age 18 and older have a bachelor’s degree or greater. This data suggests that the adult population in Alexander County and Cairo includes many persons who may be lacking the post-secondary educational background to qualify for higher wage jobs, which has the effect of increasing demand for affordable housing, and most notably subsidized rental housing. We contacted Shawnee Enterprises, Inc., a property management firm with the only remaining affordable rental units in Cairo, to investigate the local rental housing market supply and demand. According to James Covey Jr., the property manager for Little Egypt Estates, Little Egypt Village, and Little Egypt Houses, these existing properties are fully-occupied and fill any vacated units from a waiting list. It is not surprising that with HUD closing more than 180 units combined at the Elmwood and McBride public housing communities, there is reasonable demand for the remaining rental units in Cairo. Additionally, its noteworthy that the 10 units at Little Egypt Estates are being leased by tenants with Housing Choice Vouchers, the 17 units at Little Egypt Village are occupied by tenants receiving Rental Assistance, and the 36 units at Little Egypt Houses operate with a HUD Section 8 contract. Thus, none of the tenants in the 63 total units managed by Shawnee Enterprises, Inc. are paying the subsidy contract rents, but rather tenants are paying up to 30% of their adjusted gross income toward rent. The following table illustrates the contract rents being collected by ownership for the subsidized units in Cairo managed by Shawnee Enterprises, Inc.
As illustrated in the preceding table, the management company is collecting subsidy or voucher rents that are significantly higher than the median and average tenant-paid “contract rents” for within three miles of the Cairo post office, which are $221 and $259, respectively. The rents presented in the preceding table, which range from $609 to $808 per month, are more comparable to the median and average tenant-paid “contract rents” statewide presented previously. This suggests that while rental properties in Cairo may be able to collect rents generally similar to the statewide median “contract rent”, the residents in these rental units are likely paying hundreds of dollars less than the reimbursed rental rates. Lastly, due to the geography of Cairo, flooding potential is an issue and a likely concern for any development in this market, which is located between two major rivers. Following is the FEMA flood zone map of the Cairo area. 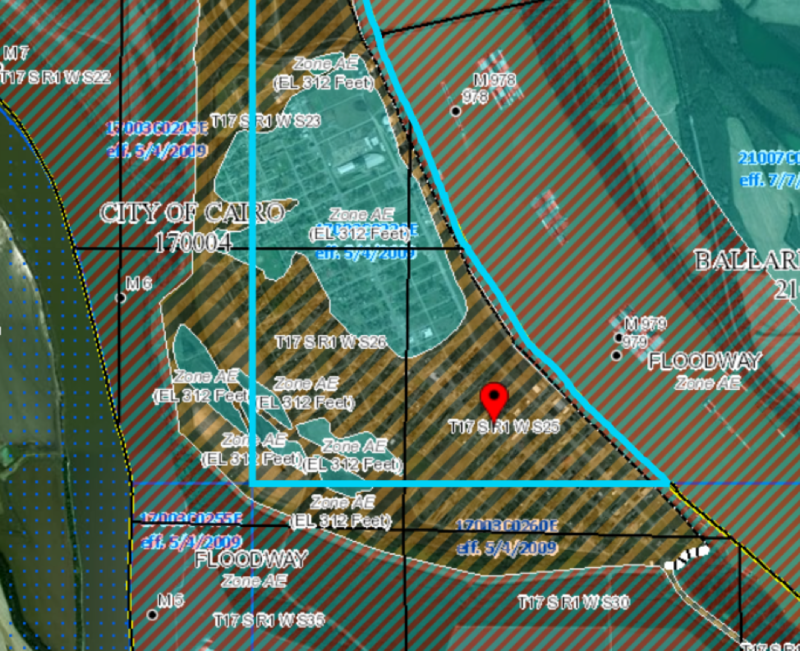 According to FEMA flood map 17003C0220E (dated 5/4/2009), approximately one-quarter of the city is within flood zone AE, or an area with a 1% probability of flooding every year (also known as the “100-year floodplain”). Land in zone AE is considered to be at high risk of flooding under the National Flood Insurance Program. 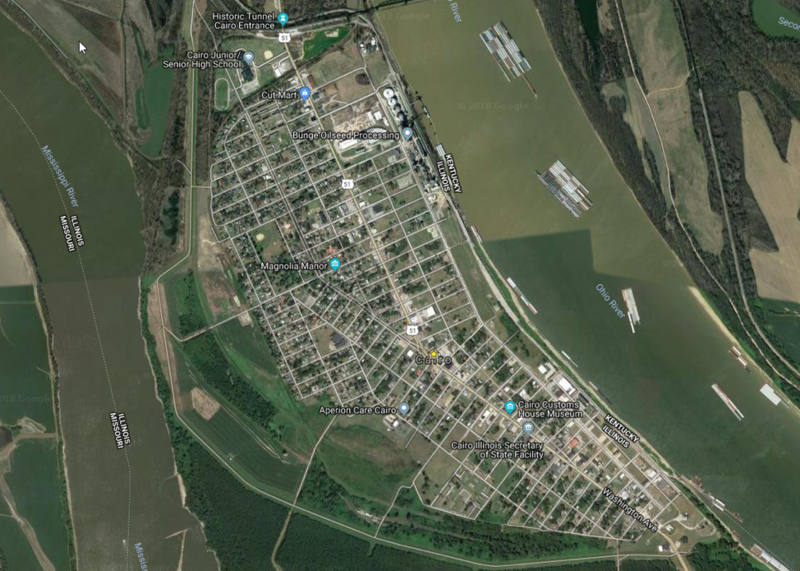 In addition, the entire community of Cairo had to be evacuated in May 2011 during record Mississippi River flooding that year. Therefore, even with themajority of the city located outside the flood plain due to the presence of levees, the relatively recent probability of flooding in Cairo combined with the cost of flood insurance has likely had a limiting effect on any potential multifamily housing development that could come under consideration in this community. Overall, it would appear based on the demographic data, economic data, flood zone data, and rental data we have analyzed that future multifamily housing development in Cairo is highly unlikely due to the various challenges facing this community. Thus, while it may not be HUD’s desire to ask dozens of households to relocate, in this community there are not many additional options, and that is unlikely to change in the future given the analysis we have presented. Brian Gault is a Senior Valuation Analyst with 18 years of experience in real estate development consulting and feasibility studies. Mr. Gault has analyzed real estate feasibility for various parties, including real estate developers, state housing finance agencies, housing authorities, lenders and syndicators regarding proposed new construction developments or rehabilitation properties. Mr. Gault has focused his career primarily on affordable, market rate and student housing apartment developments. He has significant experence with the Low-Income Housing Tax Credit (LIHTC) program and has conducted field work and/or worked to author more than 1,700 market studies, letters, rent comparability studies or appraisals. Mr. Gault has gathered field data on more than 5,000 apartment and condominium properties in more than 40 states. He is a graduate of the Ohio University E.W. Scripps School of Journalism in 1999 with a B.S. in Public Relations and a specialization in Environmental Studies. A September 2015 special feature magazine article on “Student Housing Trends Nationwide” for the Novogradac Journal of Tax Credits is among his published professional work.